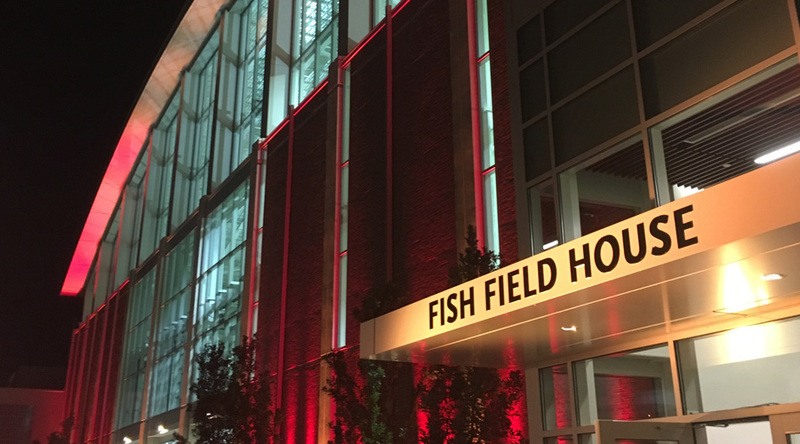 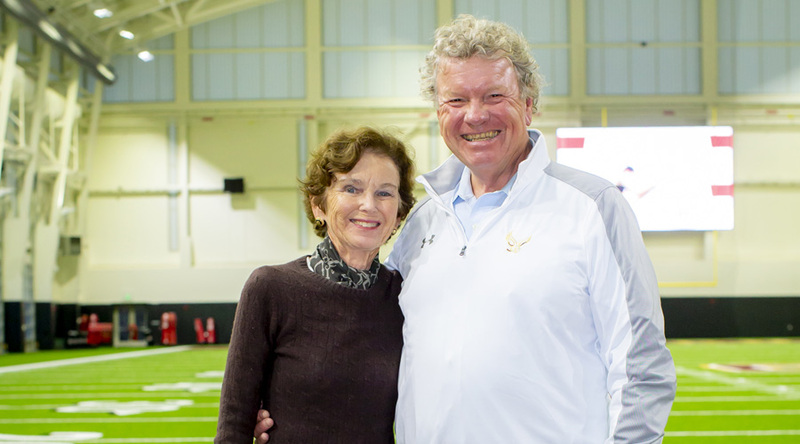 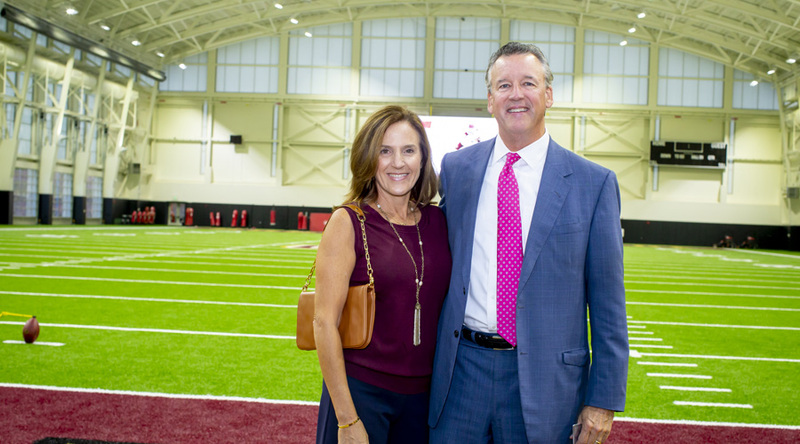 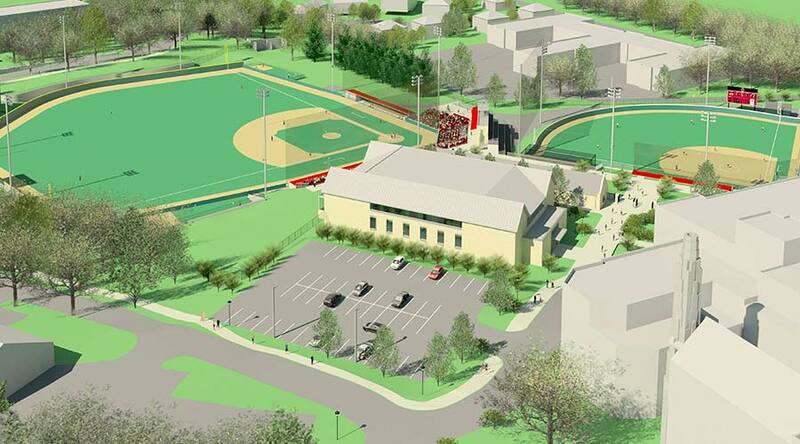 "Our facilities are where student-athletes learn commitment, passion, dedication and teamwork. 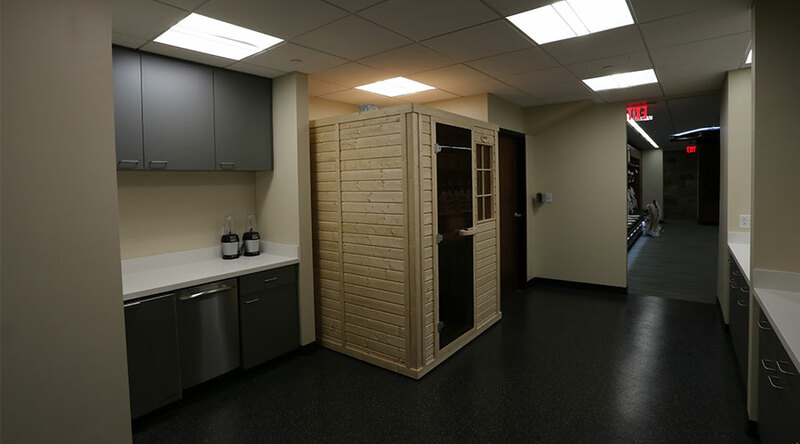 This is their laboratory." 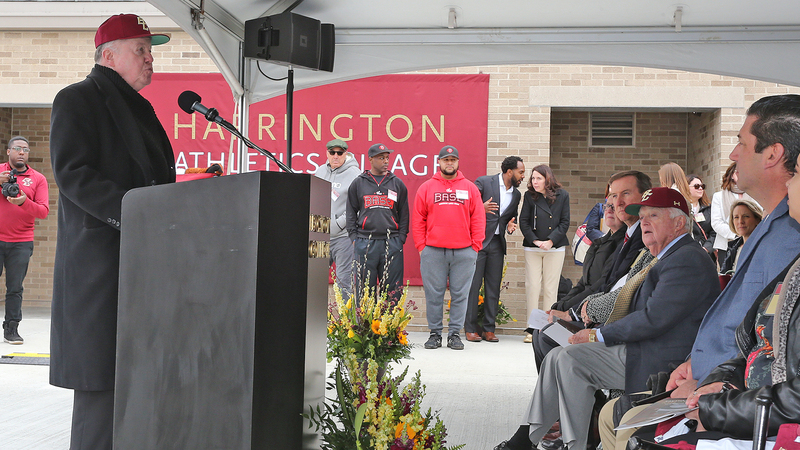 The Harrington Village Phase II project will provide a 30,000 square-foot Indoor Player Development Center so baseball and softball players can practice and train year-round. 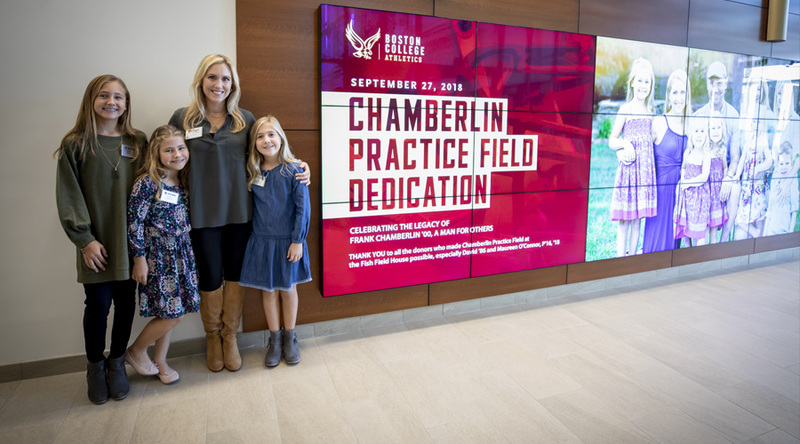 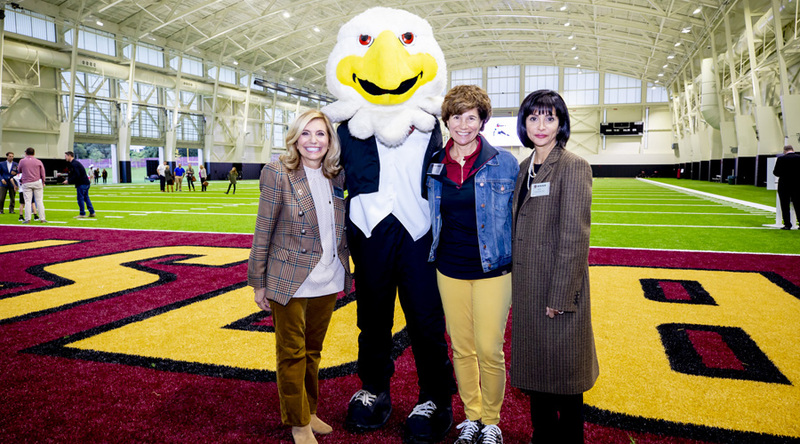 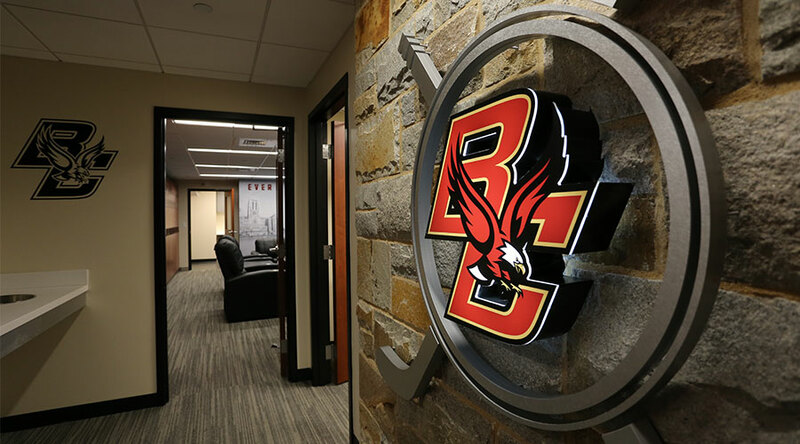 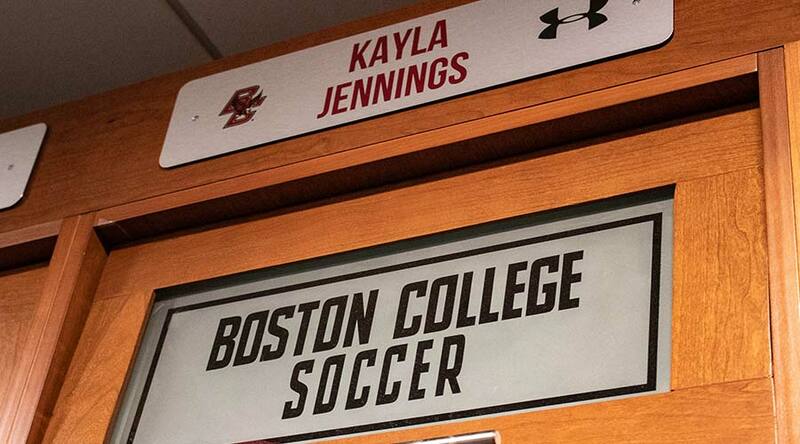 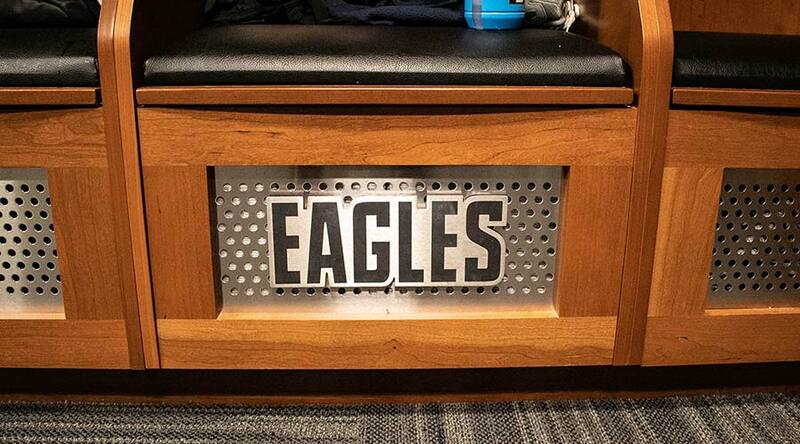 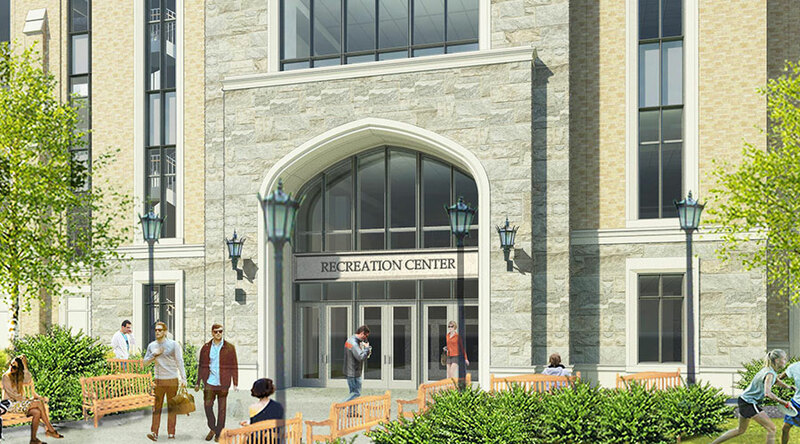 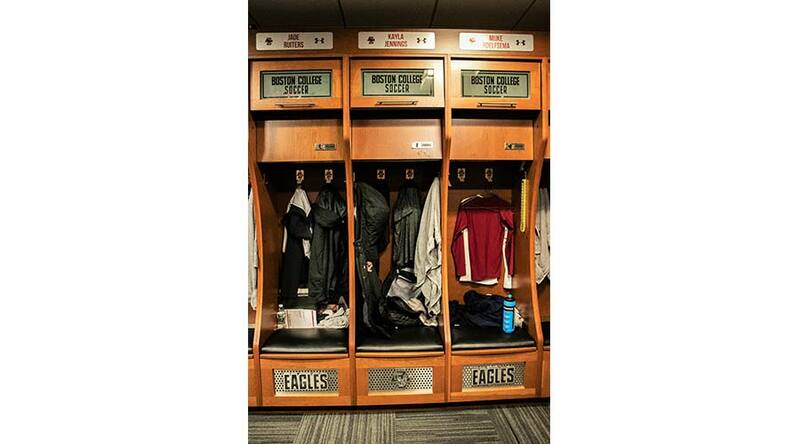 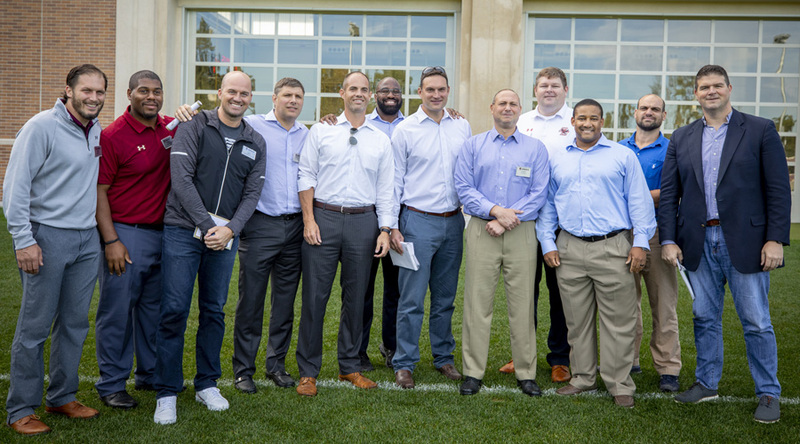 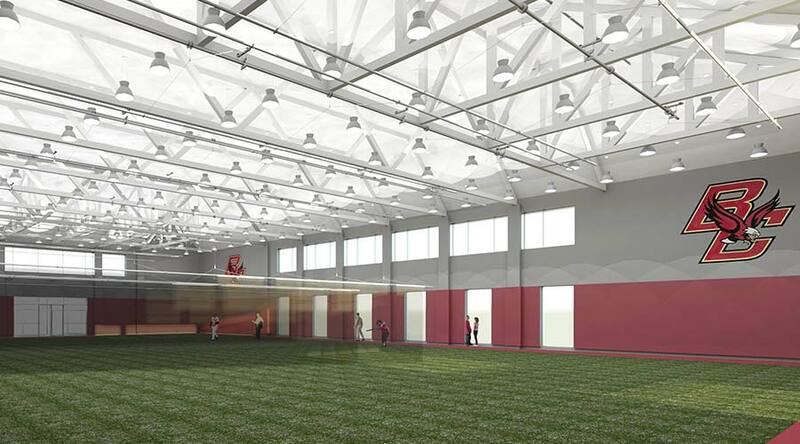 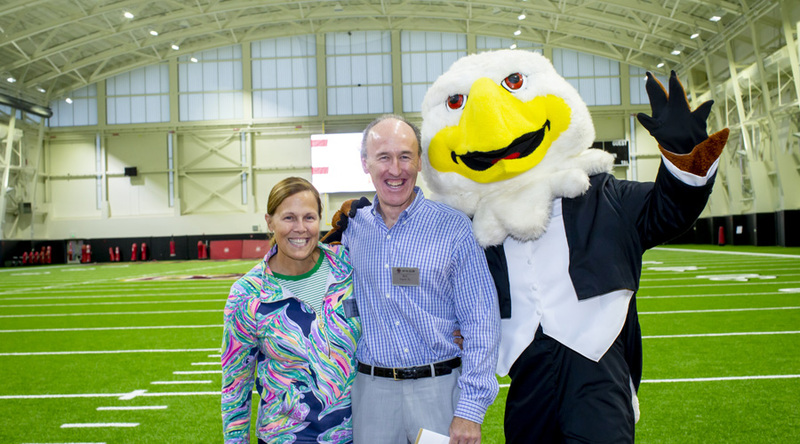 These facilities will serve as a critical asset in helping bring our BC Eagles to the next level. 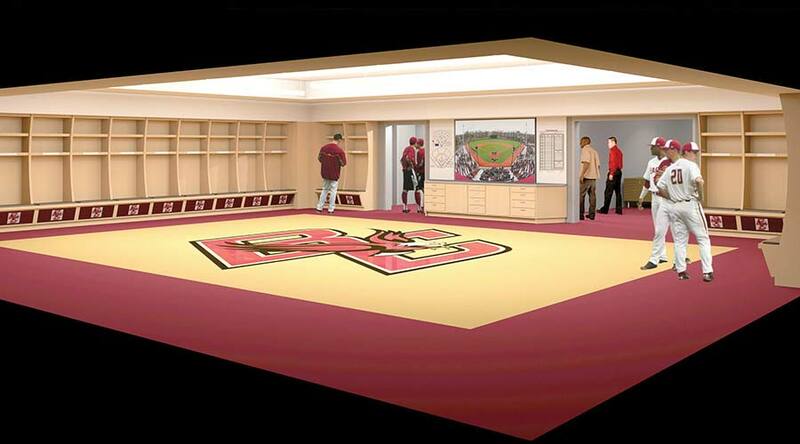 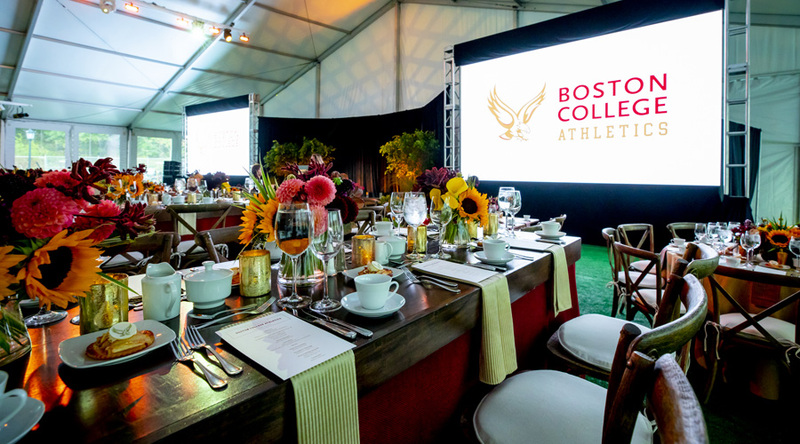 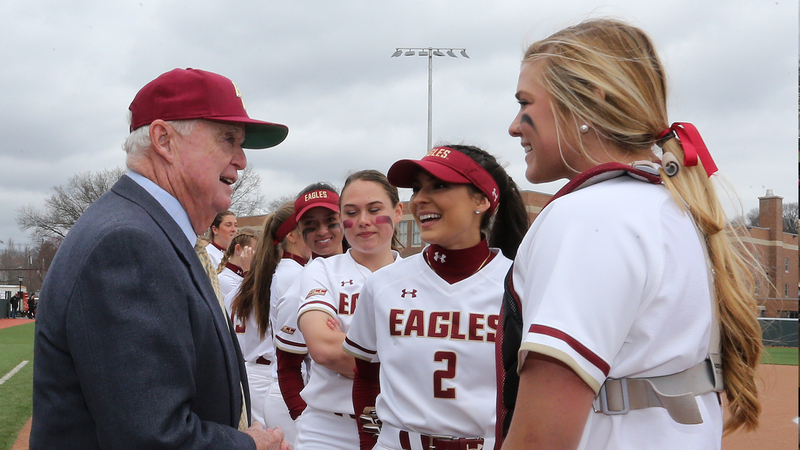 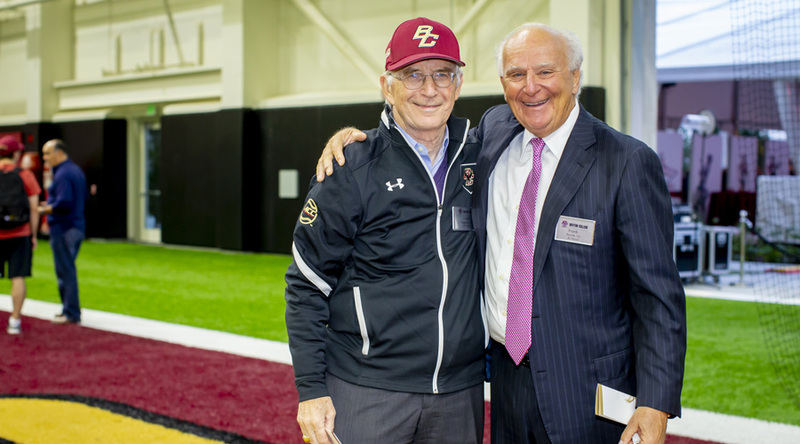 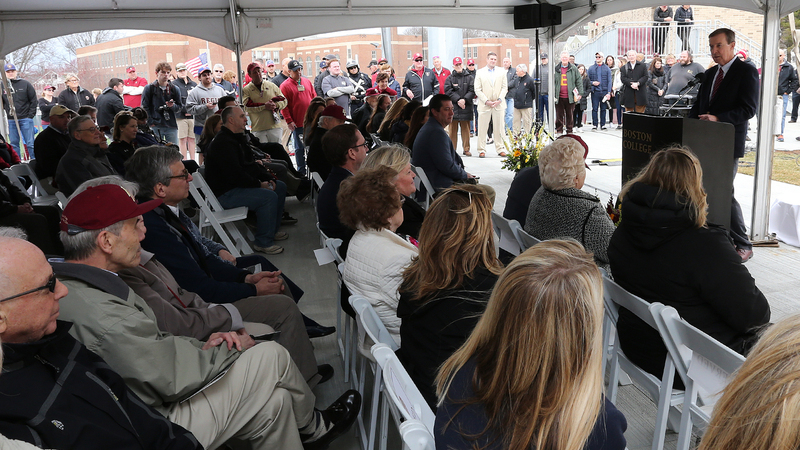 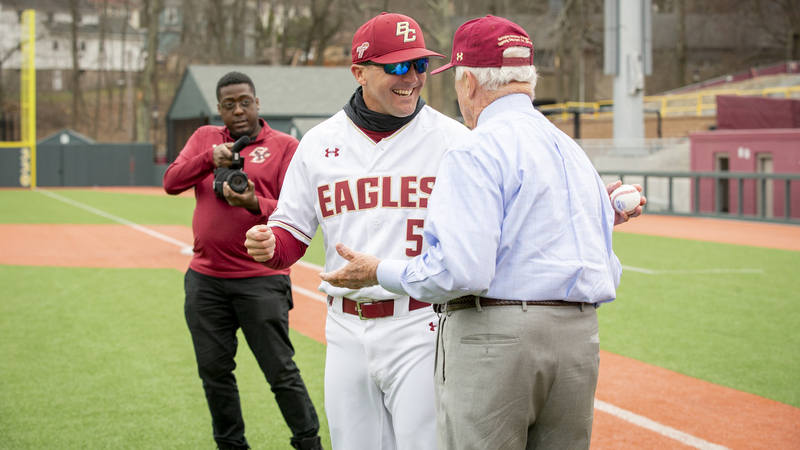 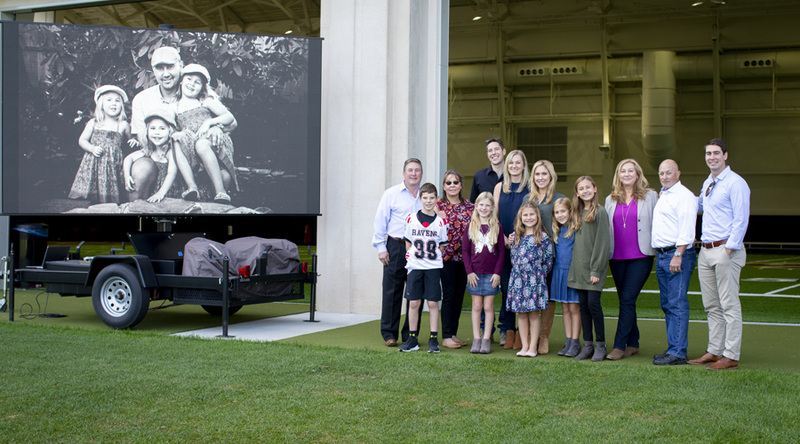 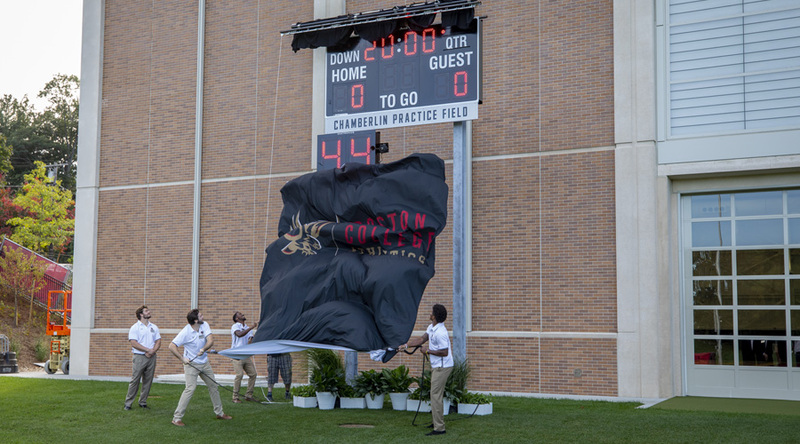 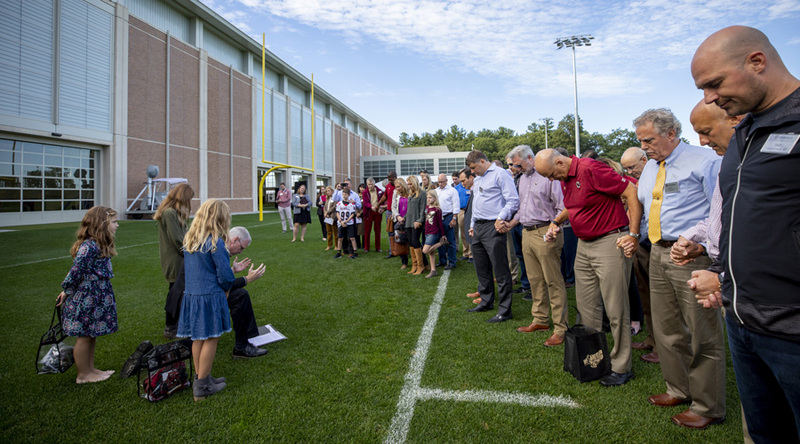 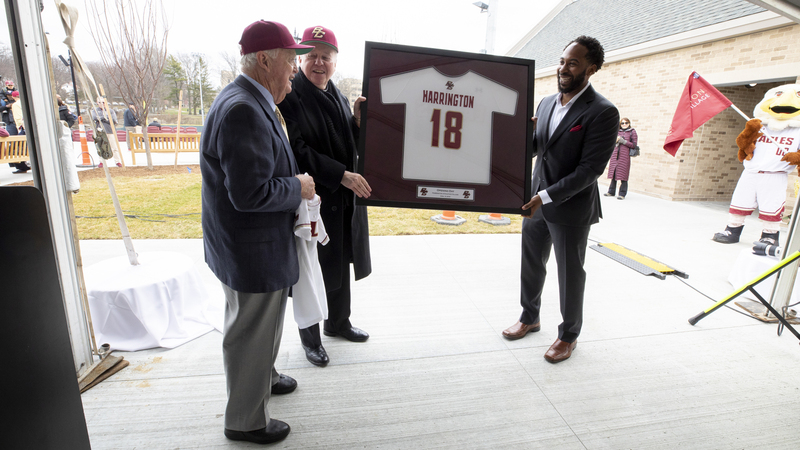 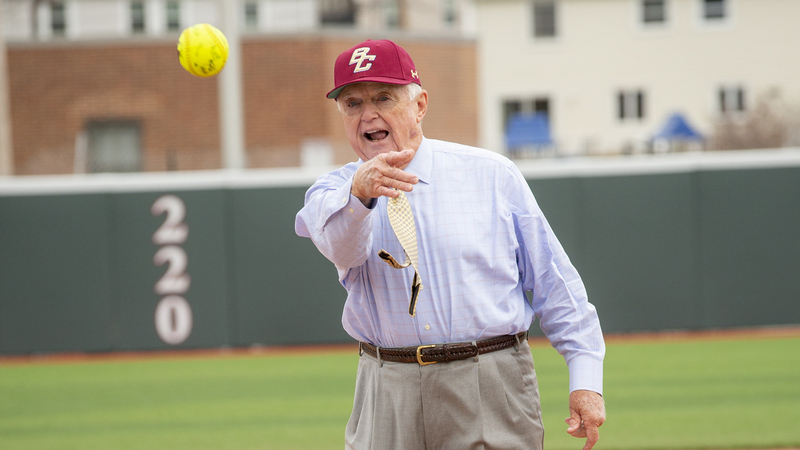 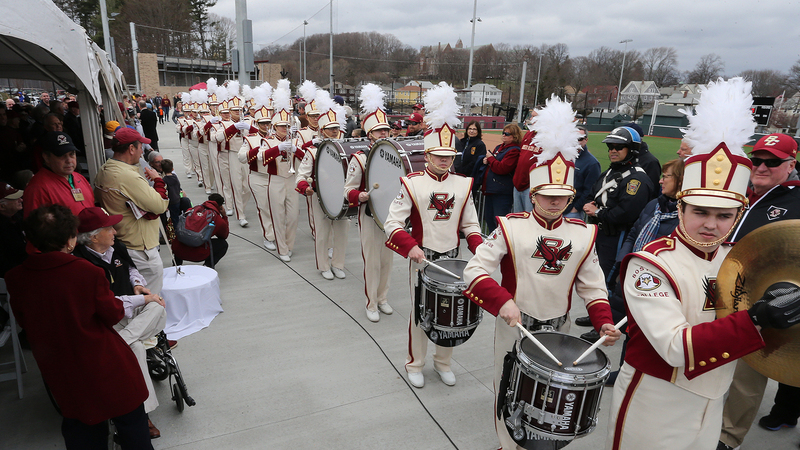 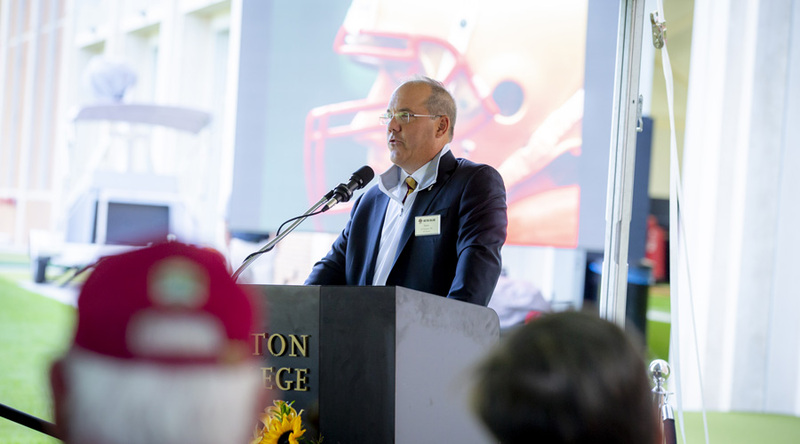 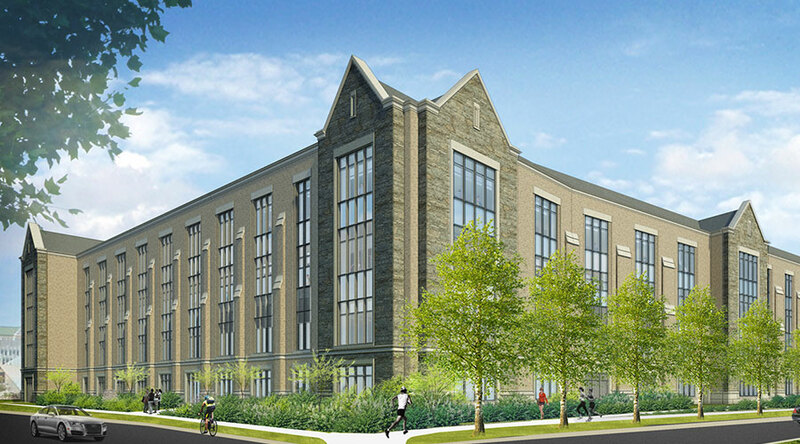 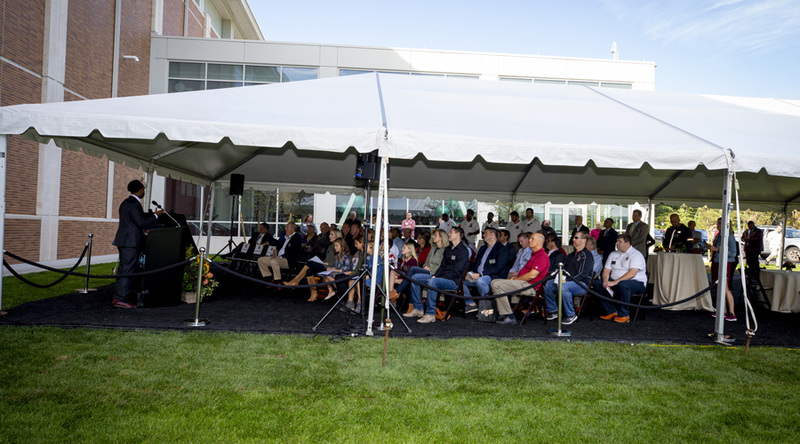 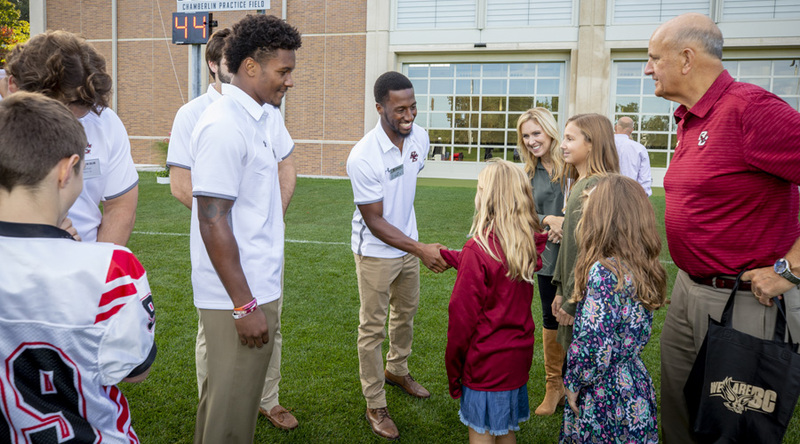 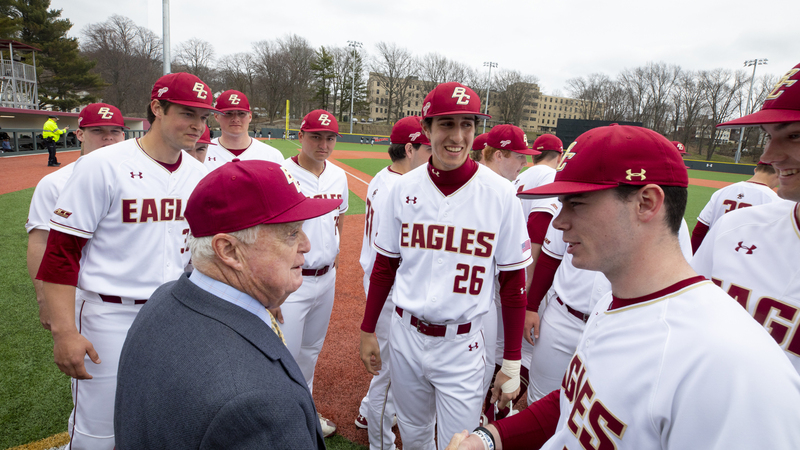 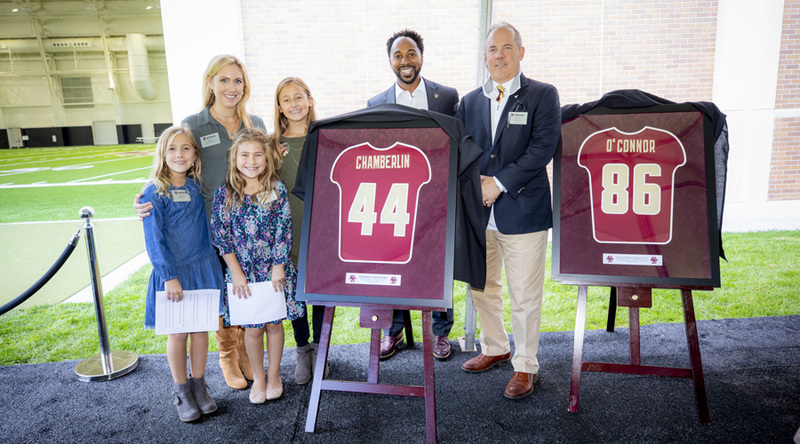 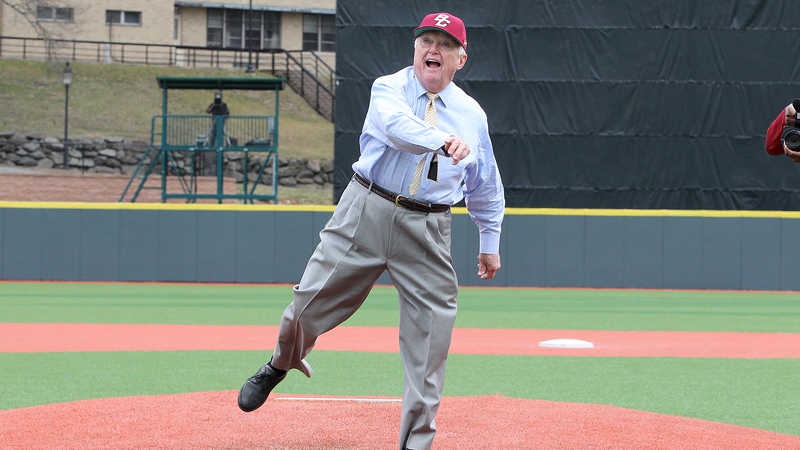 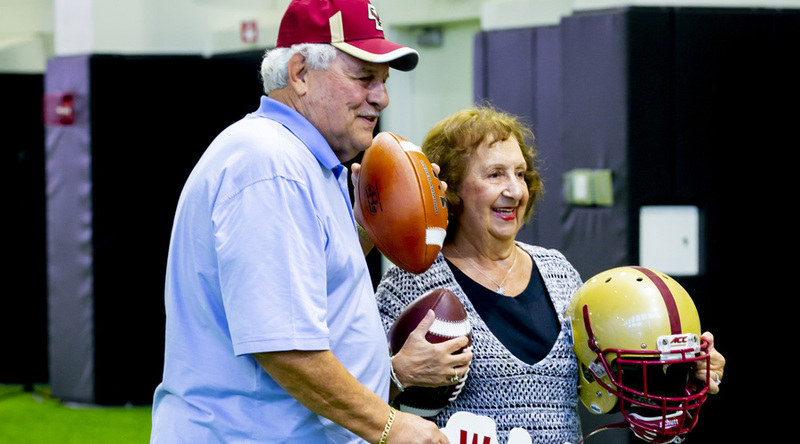 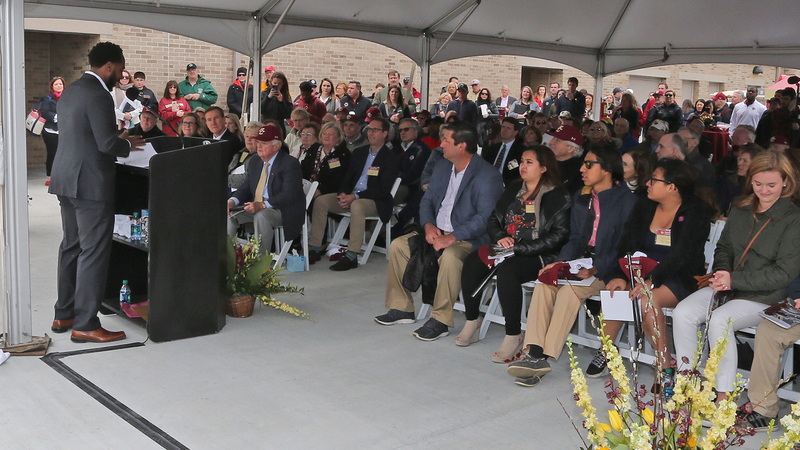 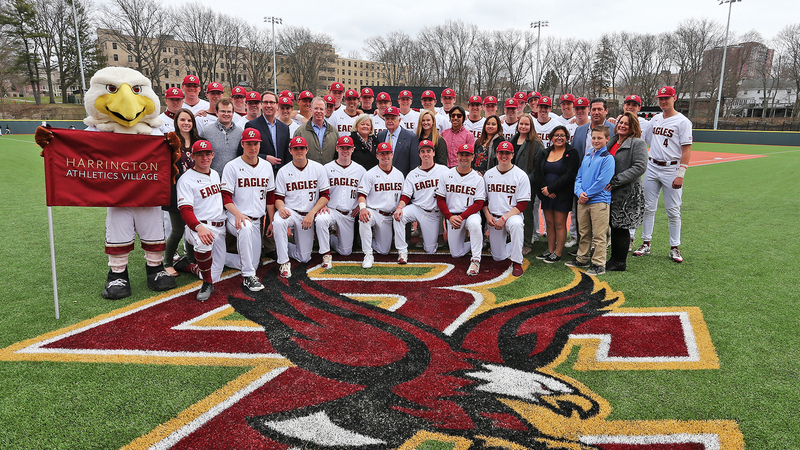 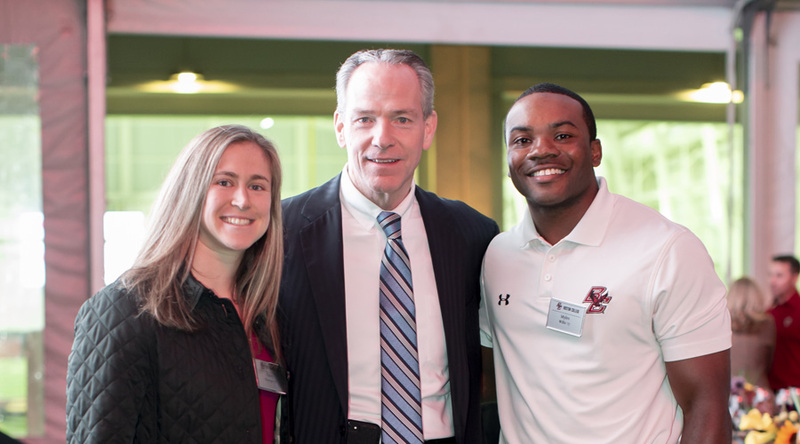 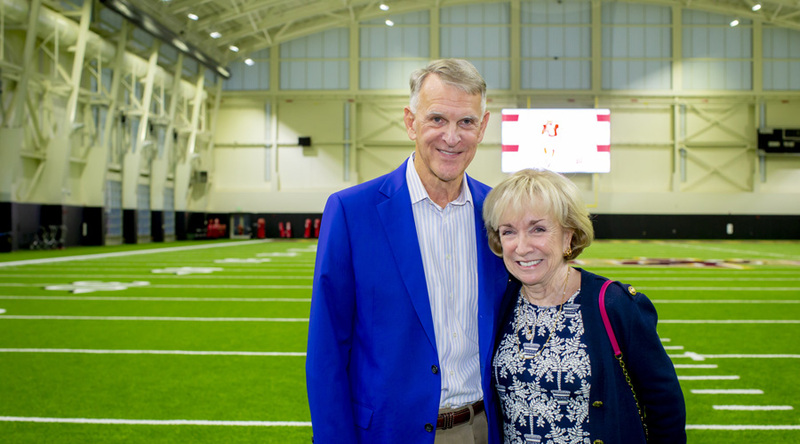 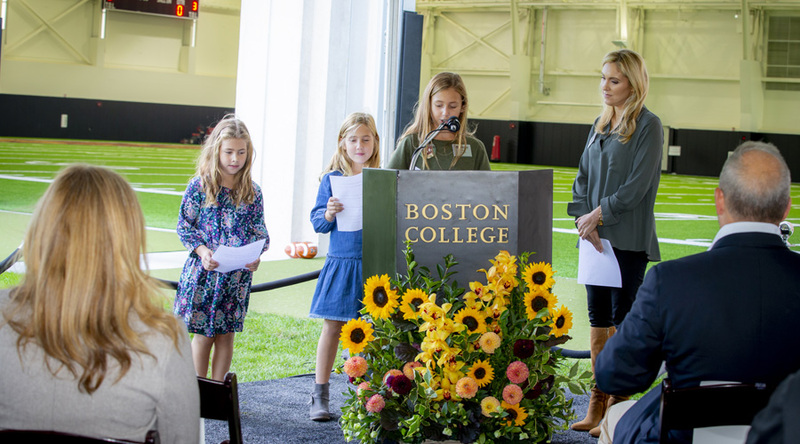 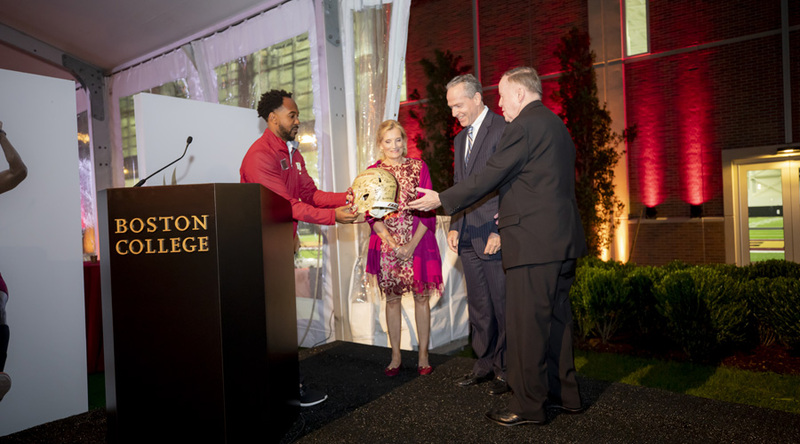 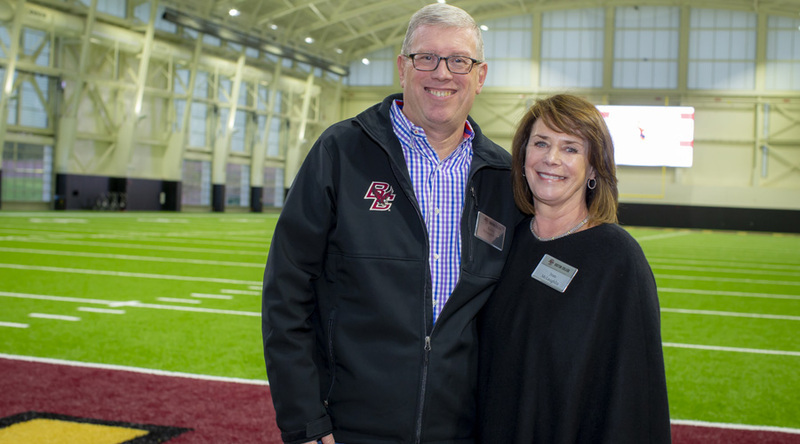 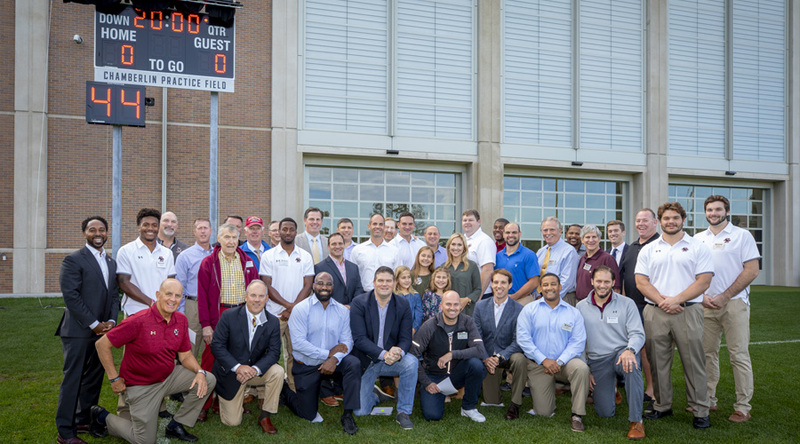 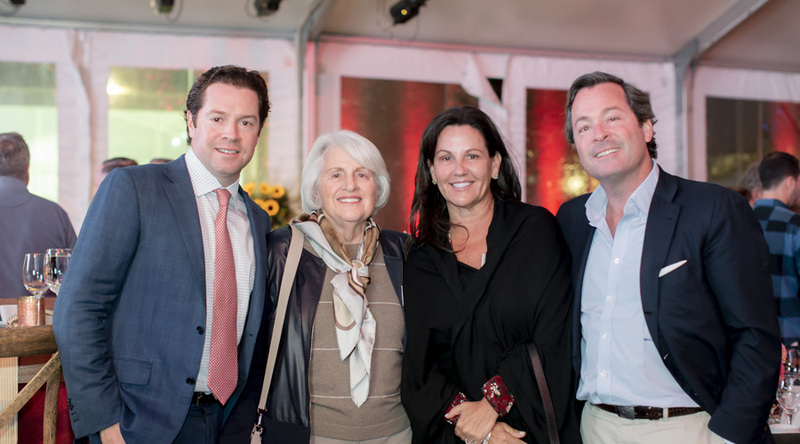 The development of the Harrington Athletics Village ushered in a new era for BC Baseball and Softball. 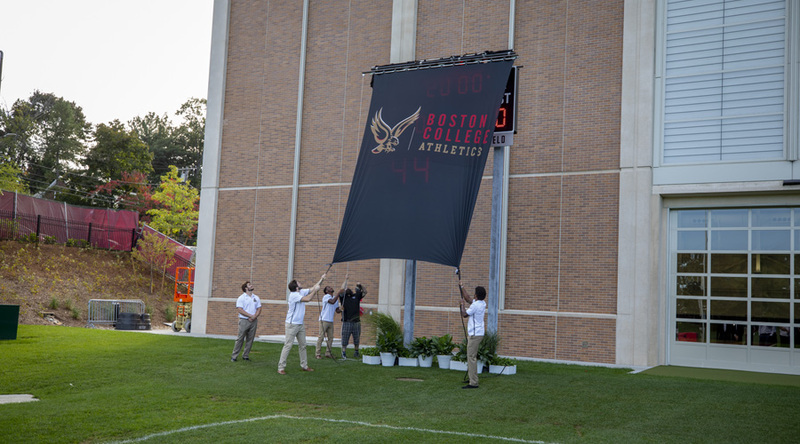 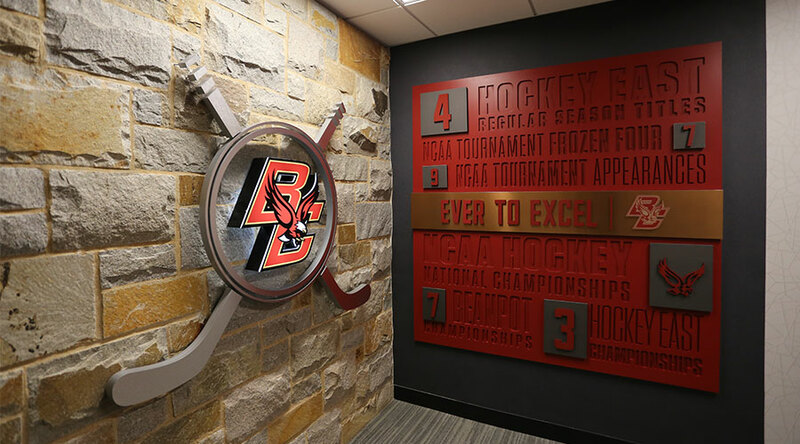 Phase I provided both teams with state-of-the-art, all season stadiums built to host both ACC and NCAA championship games on BC’s Brighton Campus. 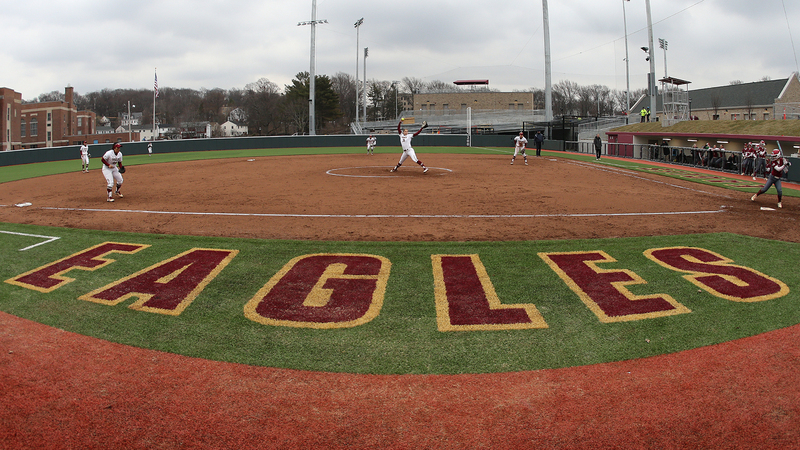 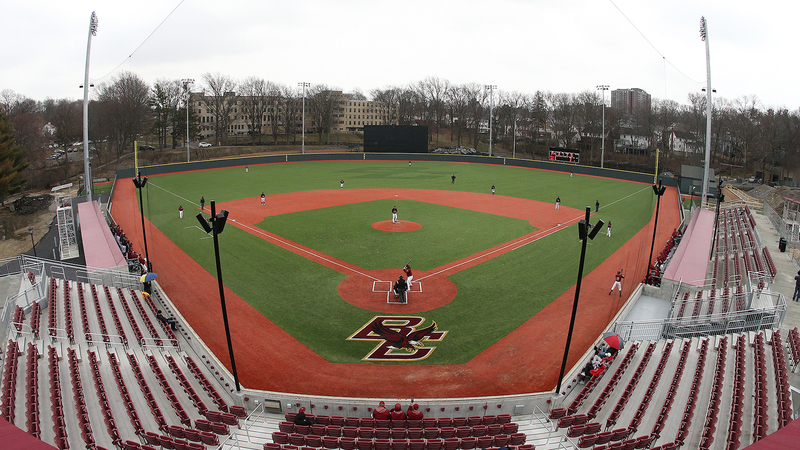 The new complex is equipped with AstroTurf Diamond Series to allow the Eagles to play in unpredictable New England weather and LED lights to allow night games. 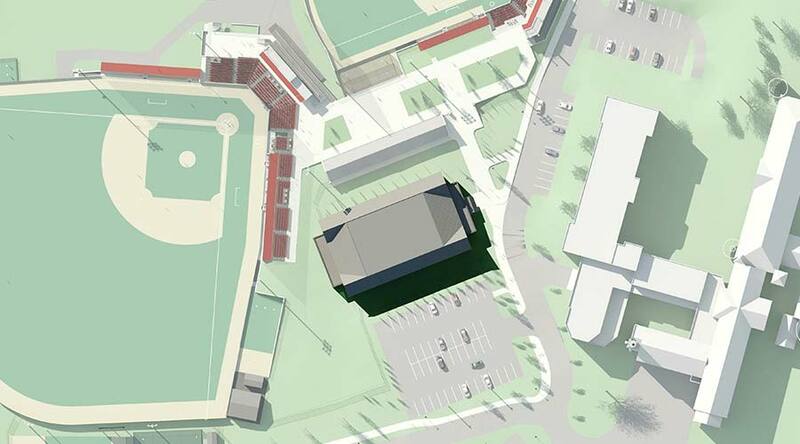 Both teams enjoy their own batting cage facilities as well as sports medicine area, large Daktronics scoreboards at each field, video replay capabilities, and expanded press boxes. 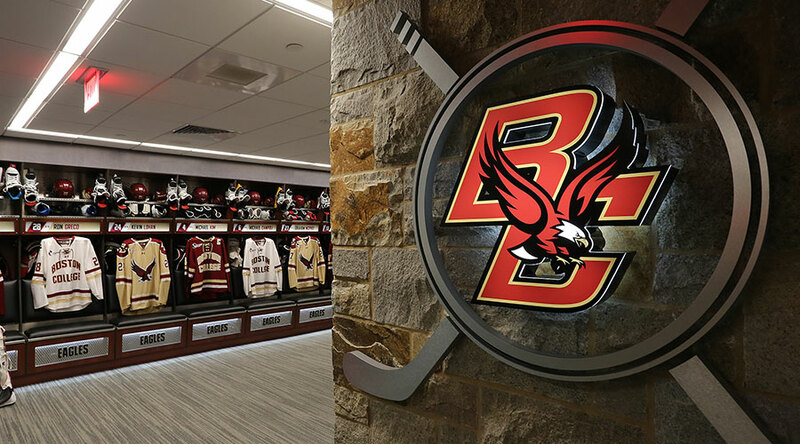 A cornerstone of our BC Athletics facilities, the field house provides critical indoor training space where our student-athletes can practice in all weather conditions at any time of the year. 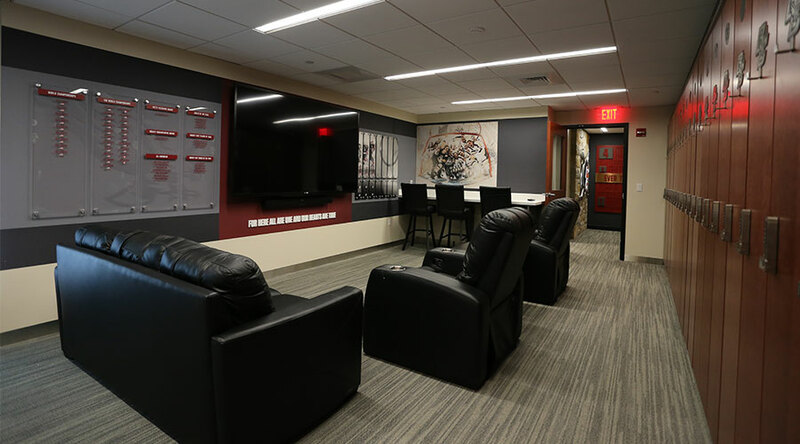 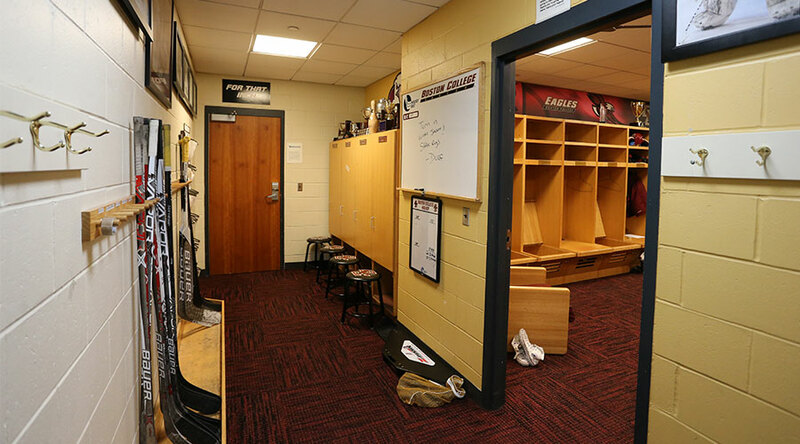 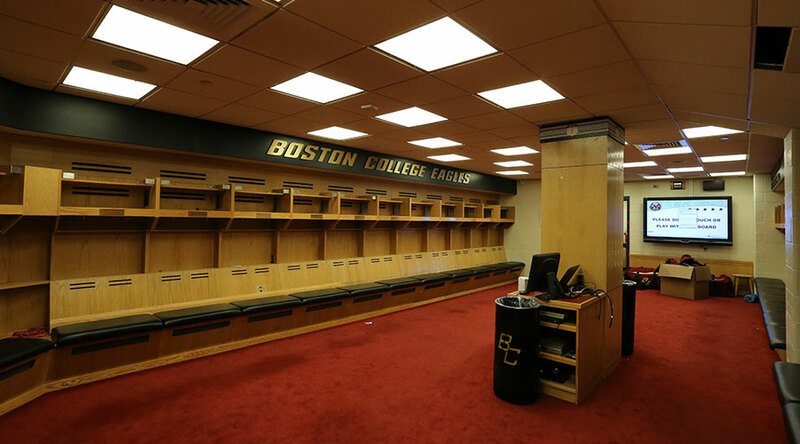 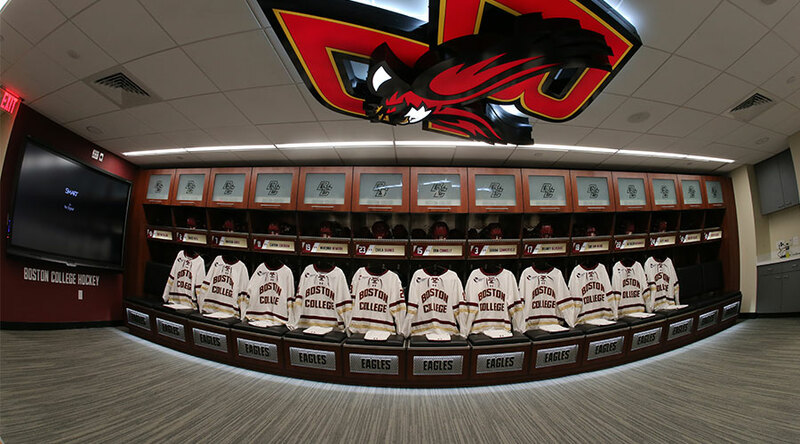 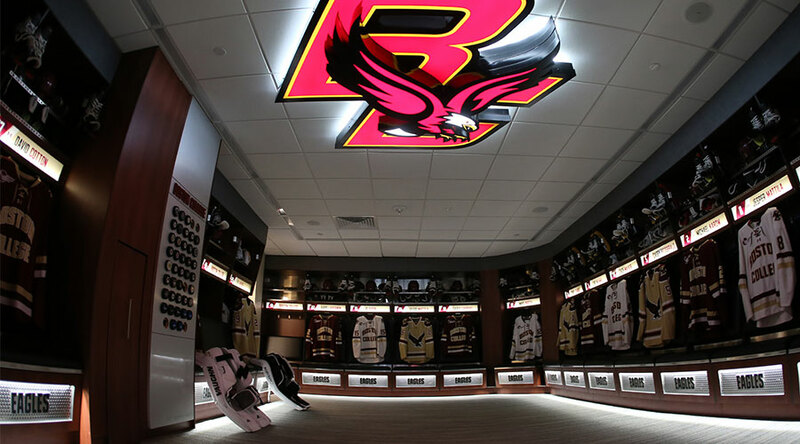 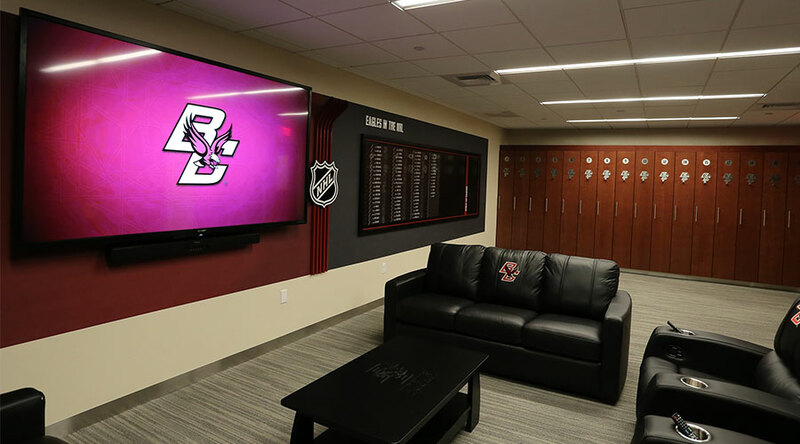 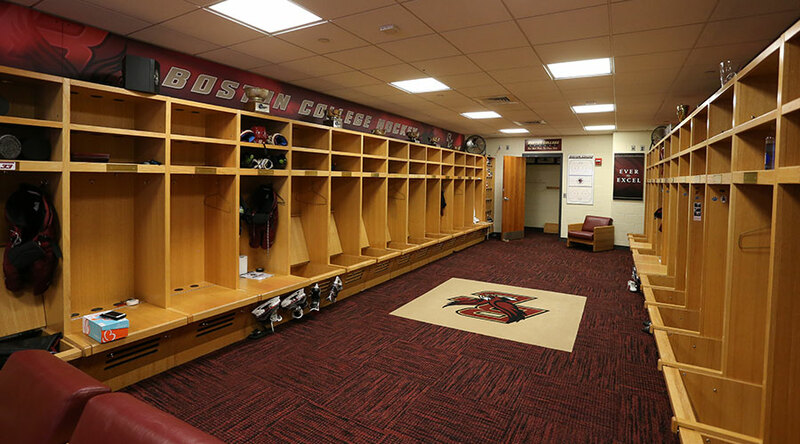 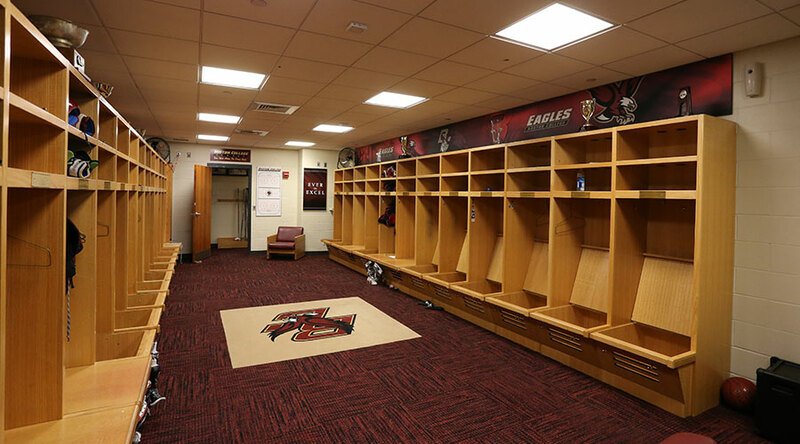 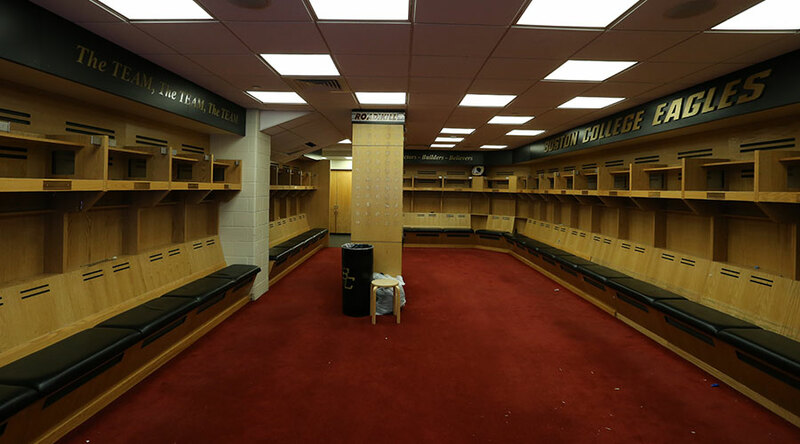 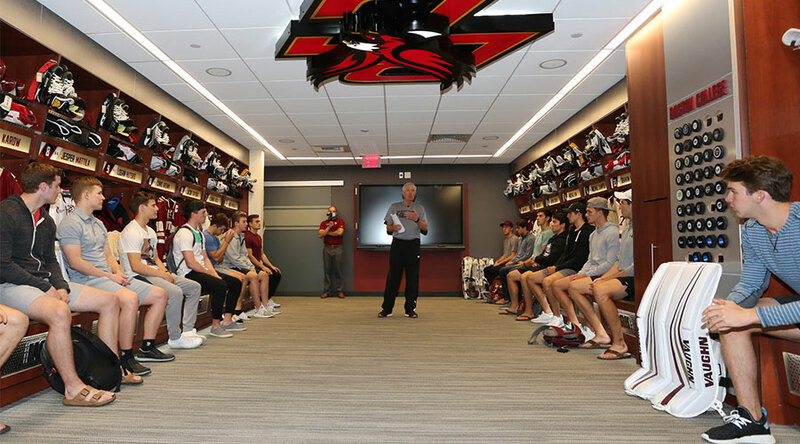 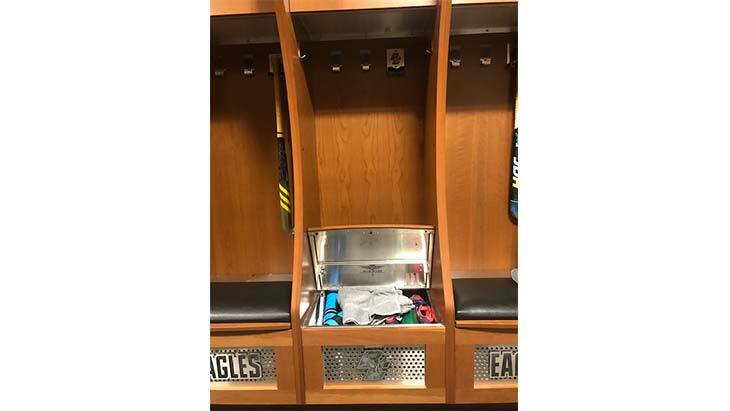 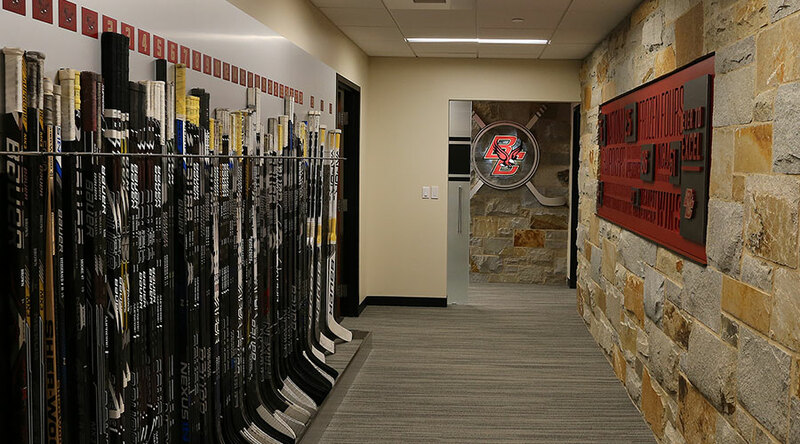 The locker room renovation was a top priority for our hockey programs, having a huge impact on the day-to-day training of our student-athletes and largely impacting recruiting for our next generation of Eagles. 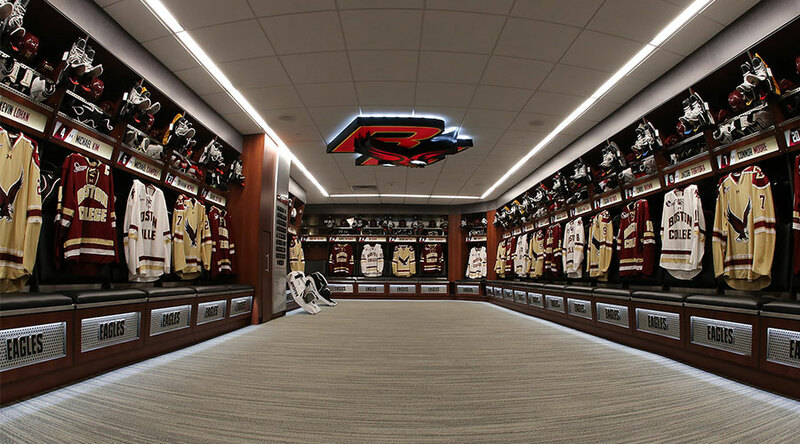 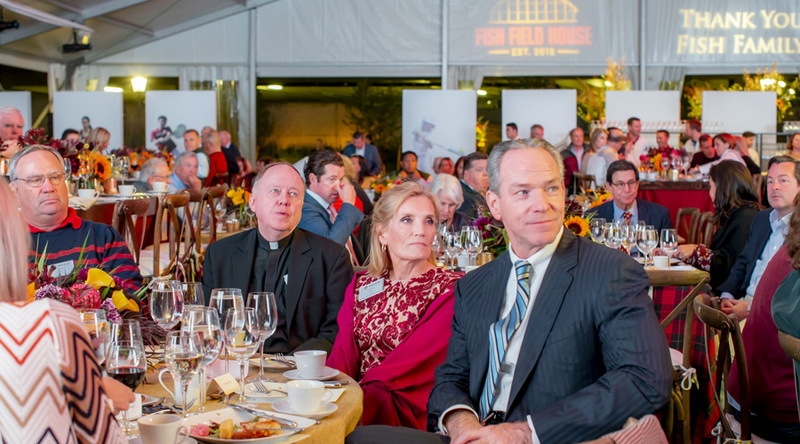 The project was funded by more than 175 donors, of which 121 are former Men's Hockey players. 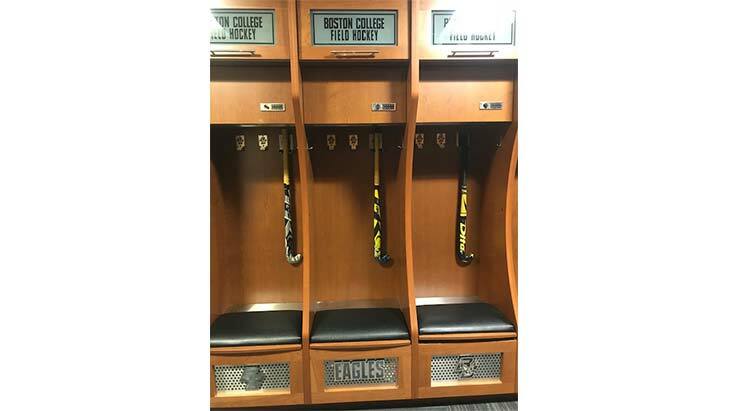 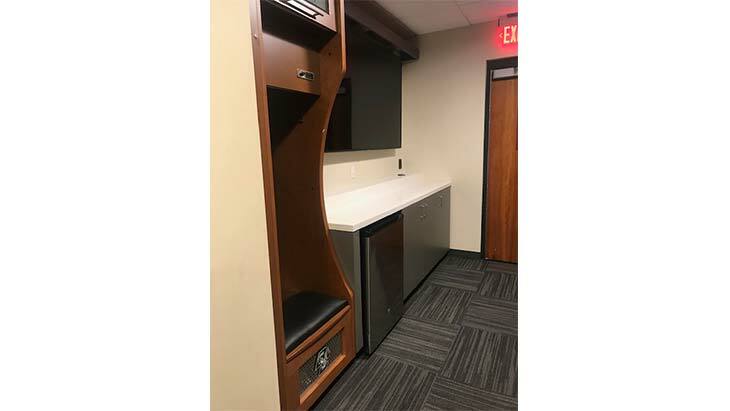 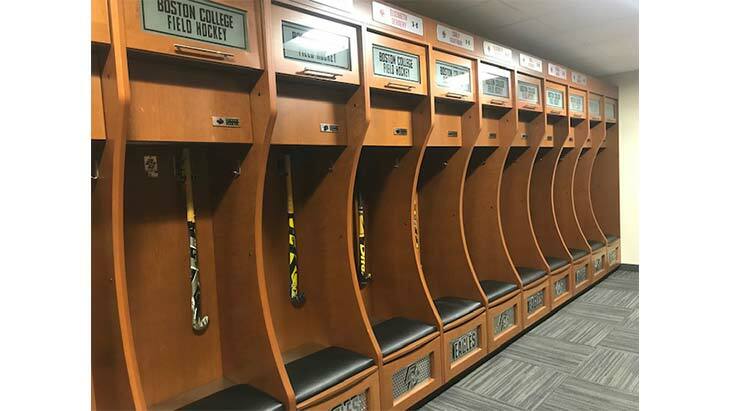 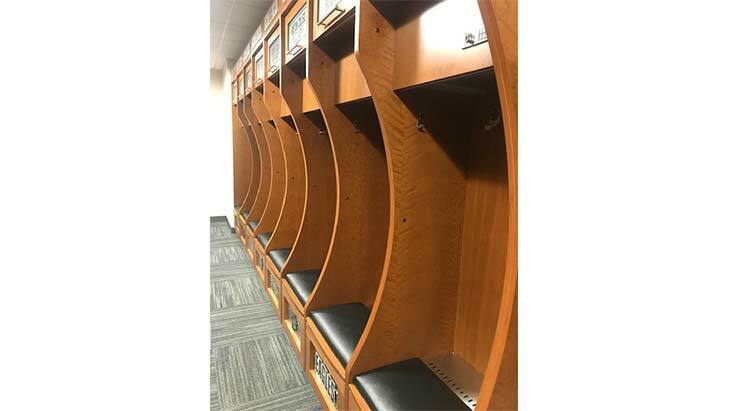 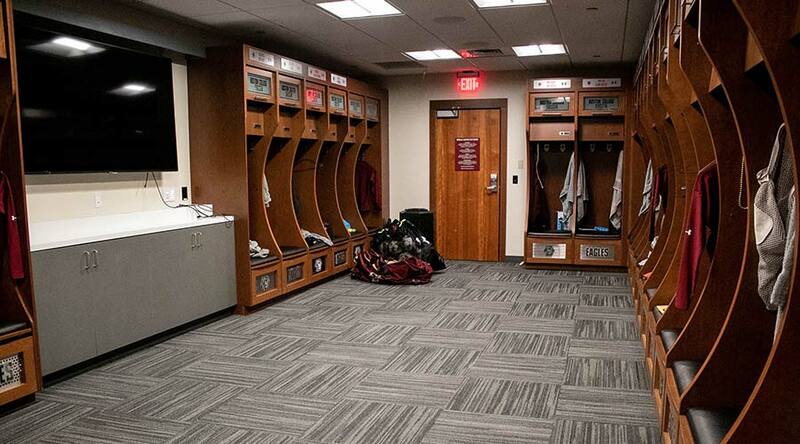 The newly renovated locker room provides the field hockey team with a critical competitive edge in the elite Atlantic Coast Conference. 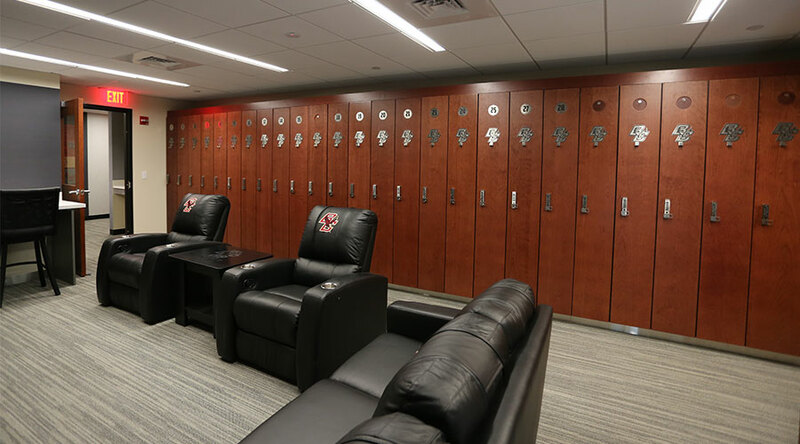 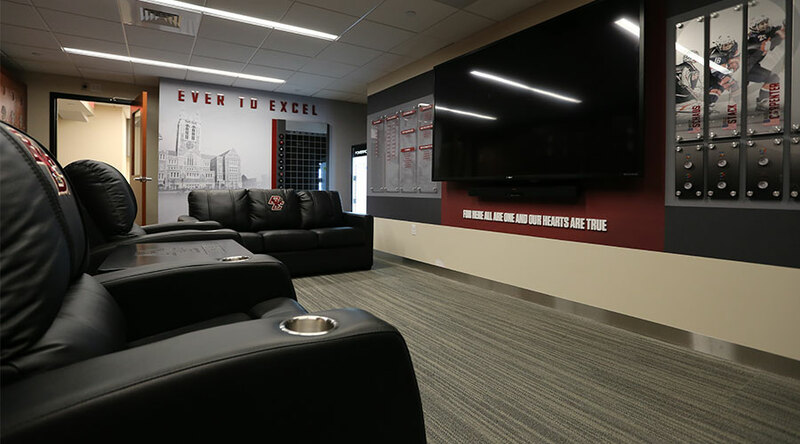 The locker room renovation for women’s soccer is an incredible addition to the program providing the perfect space for pre-game rituals and chalk talk. 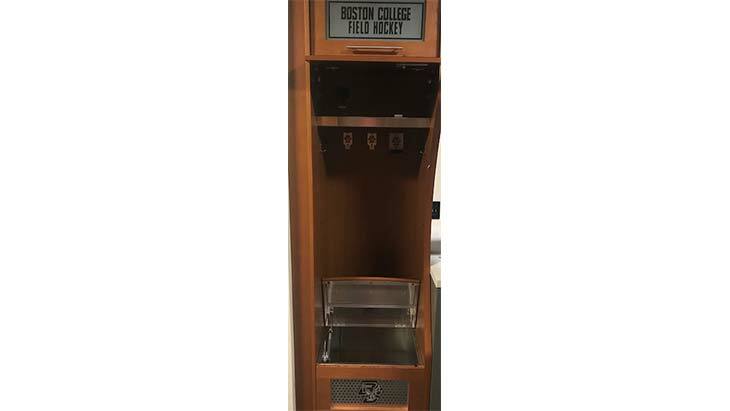 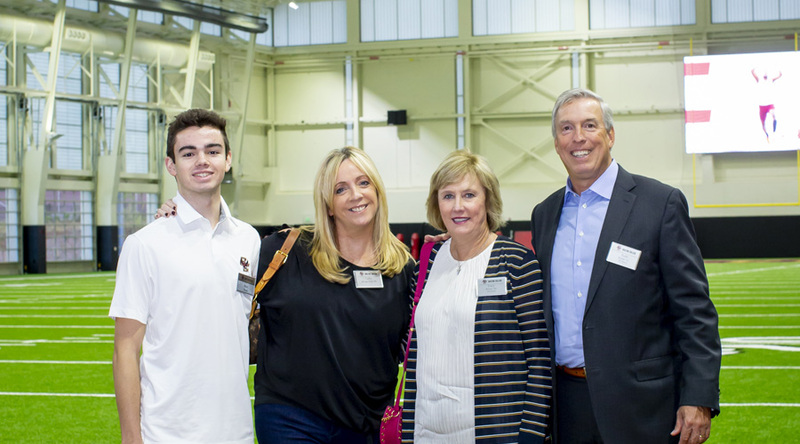 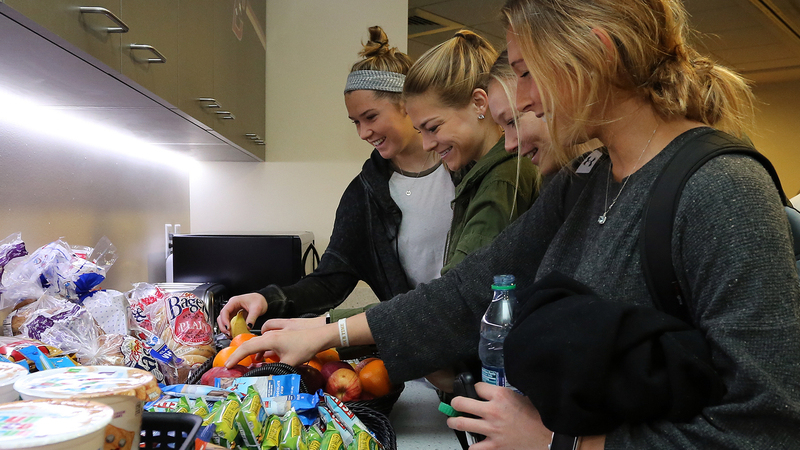 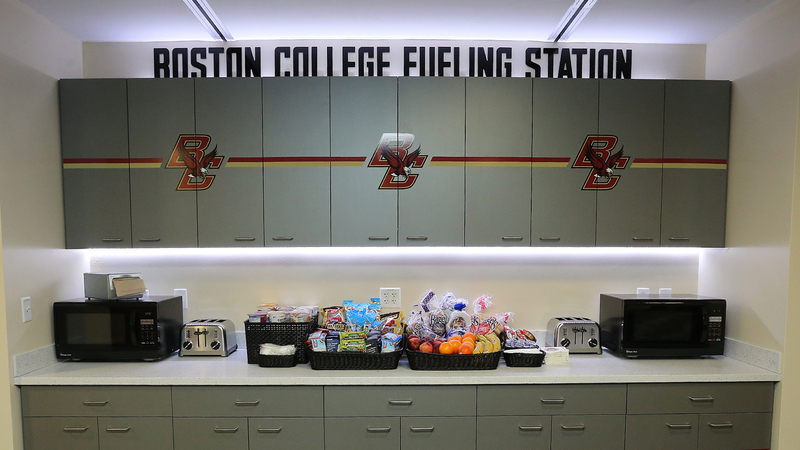 In January, BC Athletics opened a Fueling Station in the student-athlete lounge of Conte Forum designed to address nutritional needs of our student-athletes around the clock. 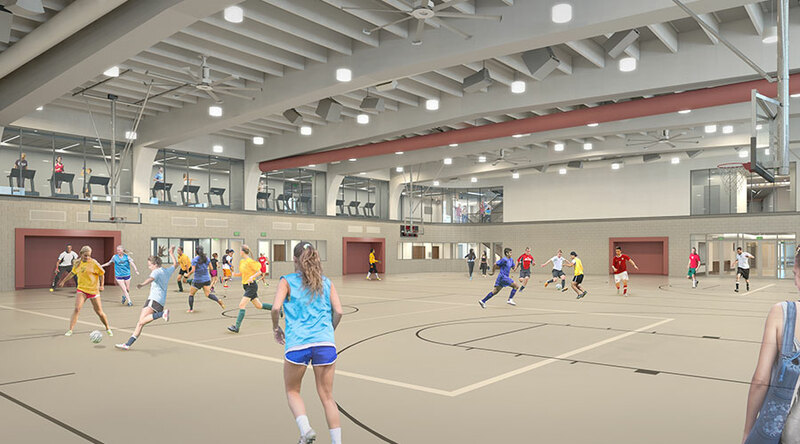 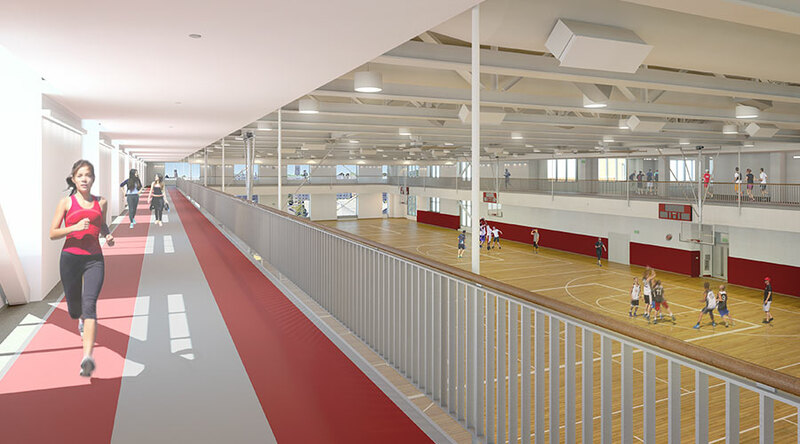 Construction of the 244,000 square-foot, four-story facility, which will replace the Flynn Recreation Complex, is underway at the former site of Edmond’s Hall on Thomas More Road. 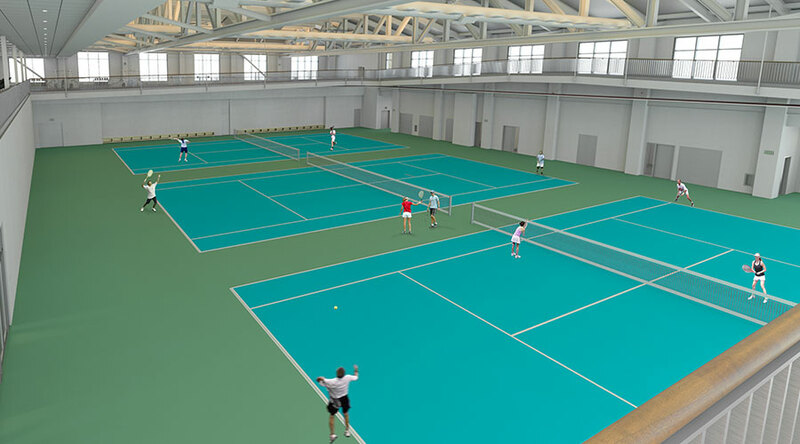 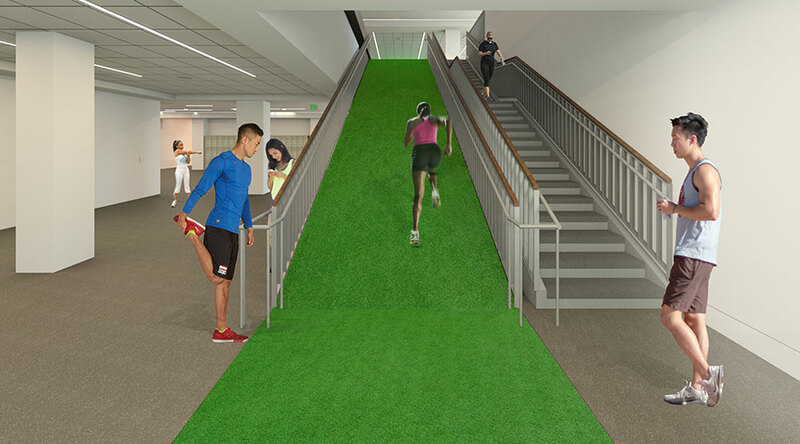 It will include a state-of-the-art fitness center, jogging track, natatorium with lap and instructional pools, four wood-floor basketball courts, three tennis courts, two multi-activity courts and multi-purpose rooms for spin, yoga and fitness classes, among other amenities. 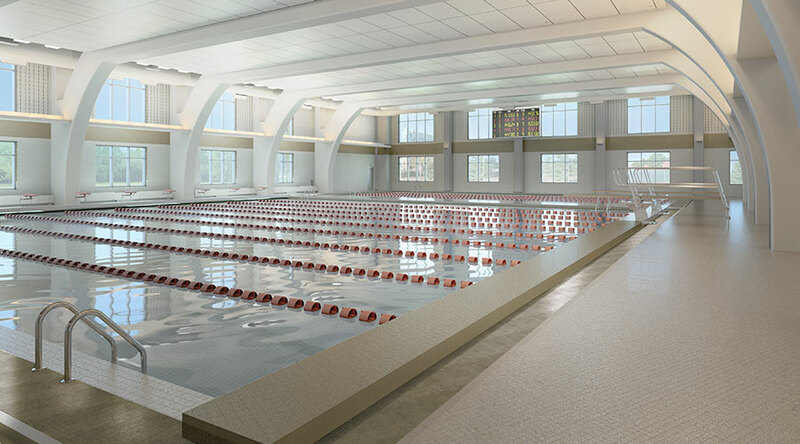 Natatorium - a 10 lane deep pool and 4 lane shallow pool. 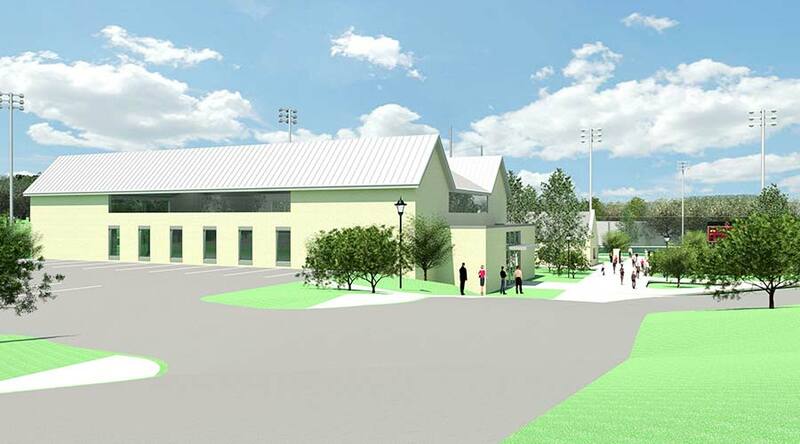 Home to men's and women's varsity swim program, men's and women's club waterpolo. 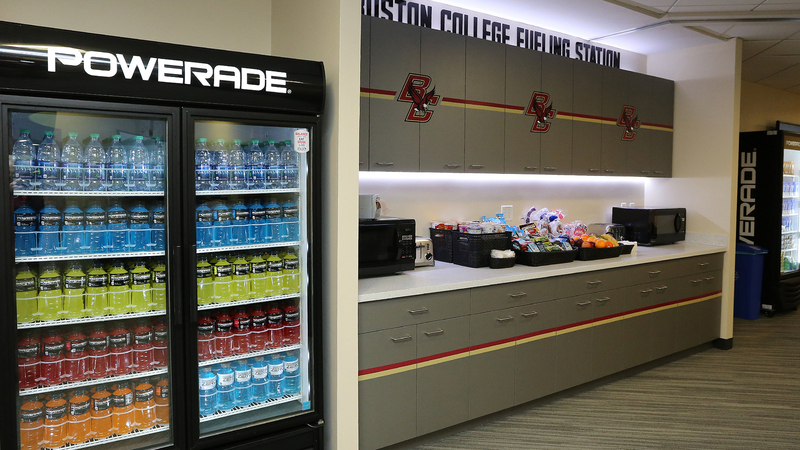 July 2016 the Atlantic Coast Conference and ESPN announced an agreement to launch the ACC Network by August 2019. 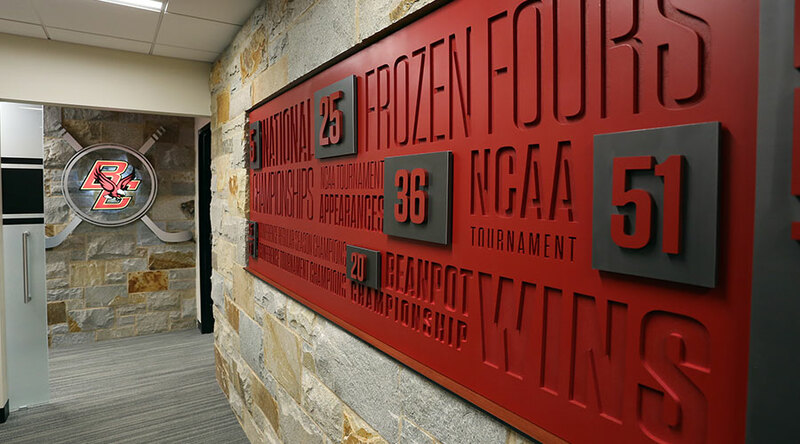 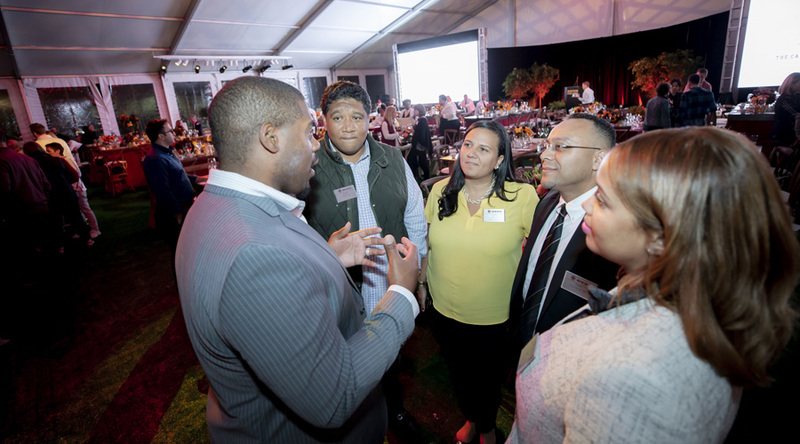 The network provides an exciting opportunity to increase national exposure for our student-athletes both in revenue generating programs and olympic sports programs. 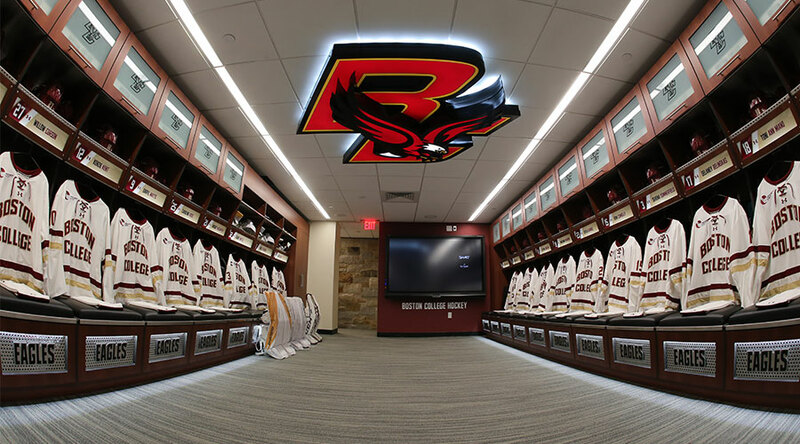 © • Boston College • All Rights Reserved, Designed by Summit Athletic Media.